Attack - attack time can be set from slow anti-clockwise to fast clockwise. Trim - allows you to reduce the gain of your input signal to avoid clipping. Sustain - fully anti-clockwise you should notice a subtle boost to your guitar tone with more sustain added the further clockwise you dial. 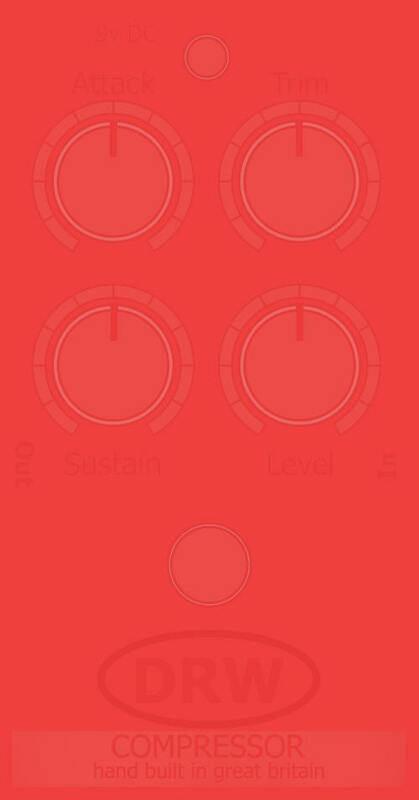 Level - alters the volume of the signal that leaves your compressor. 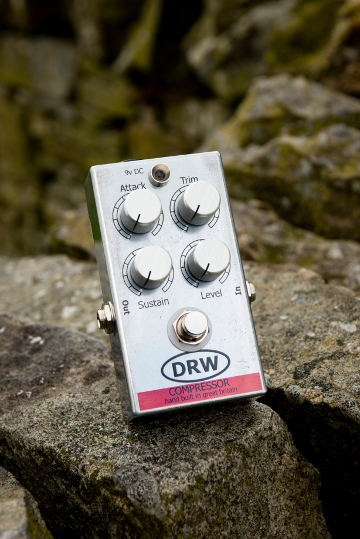 The DRW Compressor is based around the CA3080 Operational Transconductance Amplifier as used by the famous MXR "Dyna Comp" and the Ross "Grey Compressor" regarded as some of the best guitar compressors ever made, now we have improved the design and it's even better! 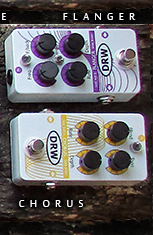 Many improvements have been implemented in our designs, resulting in a pedal that has very low noise, with much improved tonal quality. 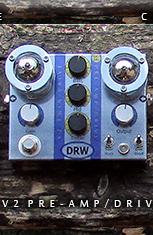 In short it does exactly what it is supposed to and doesn't compromise your guitar sound.